The Spy in Black (1939). In The Spy in Black, British agents attempt to thwart a German plan to sink British ships in 1917. 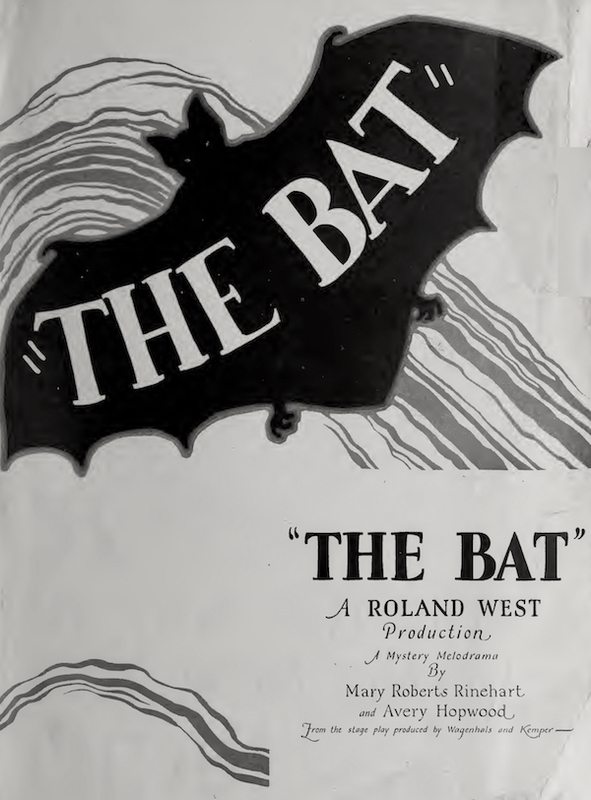 Stars include Conrad Veidt, Valerie Hobson, Marius Goring, and June Duprez. Based on the book by J. Storer Clouston, the film is directed by Michael Powell, the screenplay is by Powell's Archers partner Emeric Pressburger, and the scenario is by Roland Pertwee (the father of Dr. Who's Jon Pertwee). Martin Edwards on locked room mysteries. On The Men Who Explain Miracles podcast, Detection Club President Martin Edwards talks about locked-room mysteries such as Murder of a Lady (1931) by Anthony Wynne and other titles in the British Library Crime Classics series for which he serves as a consultant. In Forbidden Cargo, a customs officer (Nigel Patrick) is on the trail of drug smugglers, assisted by an aristocratic birdwatcher (Joyce Grenfell). Jack Warner, Elizabeth Sellars, Greta Gynt, Theodore Bikel, and Michael Hordern costar. The career of Edward Stratemeyer. The New Antiquarian blog of the Antiquarian Booksellers Association of America looks at the career of Edward Stratemeyer (1862–1930), who launched the Stratemeyer Syndicate that published the Hardy Boys, Nancy Drew, and countless other children's series. Murder on the Campus (1933). In Murder on the Campus, a reporter (Charles Starrett) seeks to exonerate his coed girlfriend (Shirley Grey), who is accused of murder. The film is based on The Campanile Murders (1933) by author-screenwriter Whitman Chambers (thanks to Mystery*File for link to serial version of The Campanile Murders). A new Call for Papers has been posted for a theme issue of Clues: A Journal of Detection on "Interwar Mysteries: The Golden Age and Beyond." It will be guest edited by University of Leicester's Victoria Stewart (author, Crime Writing in Interwar Britain: Fact and Fiction in the Golden Age, and a previous contributor to Clues). Although the period between the World Wars is known as the Golden Age of traditional mystery fiction, other literary forms such as the hard-boiled subgenre, true crime, and noir emerged that often reflected a grimmer reality. Articles of between 3300 and 6000 words are sought that examine this important crossroads in mystery, detective, and crime fiction, with a deadline of Oct 12, 2018. In The Hand, an inspector learns that the murder of a one-handed man has roots in a POW camp in Burma. Simenon exhibition opens in China. The exhibition "Simenon, auteur belge a multi-facettes” (Simenon, multifaceted Belgian author) opened in Guangzhou Library's Multiculture Library on May 13 and will be displayed until June 8. 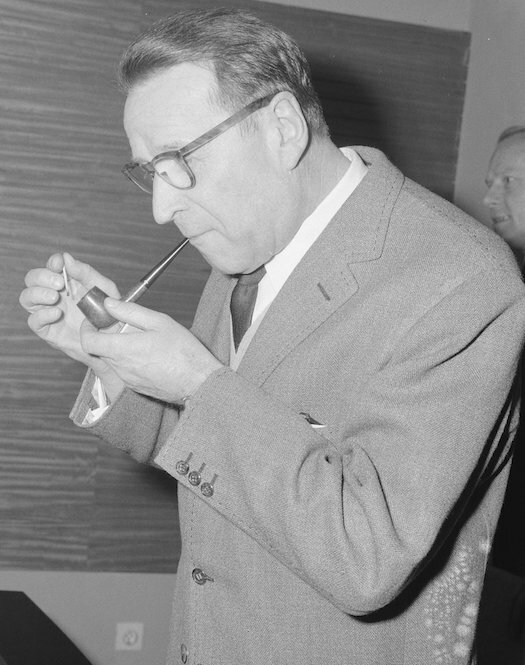 It features details on Georges Simenon's life and work, as well as posters of film adaptations of Simenon's books. Cosponsors are the library, the Consulate General of Belgium, and Wallonie-Bruxelles Internationale. Guangzhou Library holds both French editions and Chinese translations of Simenon's works.